The iOS 7 Installation Guide – Apple is already near to announce the next-generation iOS 7 download to public users, and since then everyone is going to ask how to install iOS 7 on iPhone, iPad, and iPod touch devices. The iOS 7 update has already made its fair-share of trends on the Internet world. Apple is expected to preview the final features of iOS 7 to users at iPhone 5S and iPhone 5C media launch event on September 10th. The iOS 7 installation guide is pretty simple, and there is nothing to do with any tough part. It features two major sections where we will share how to install iOS 7 firmware on your iPhone and iPad devices without any error. The official iOS 7 download will be offered to everyone around the world, and no one have to register their UDID for running final iOS 7 firmware on your iOS device. If you are planning to install iOS 7 on your device, you have to make sure that your device battery is more than 50%, and it is on the latest version of iOS 6.1.x. The iOS 7 update comes via several channels; the easiest way to download iOS 7 is to connect your iPhone or iPad with iTunes and check for iOS updates via iTunes Software Update. The iOS 7 update will be offered via iTunes, and as well as via our iOS 7 Download page. We will be offering the direct download iOS 7 update for your iOS devices. However, before downloading the iOS 7 for your device, you have to correctly download the iOS firmware version. Latest iTunes 11.x with working Internet connection on computer. Windows or OS X System. Backup your current iOS version with iTunes or iCloud. Note: The easiest method is iCloud. 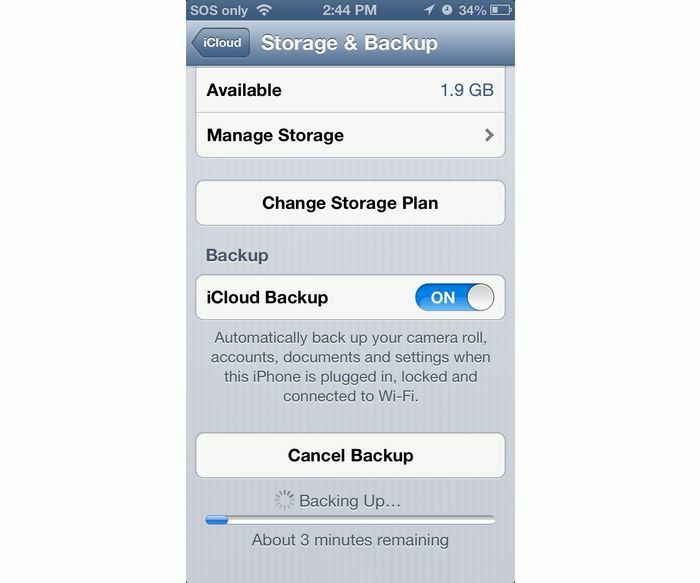 Navigate to Settings > iCloud > Storage & Backup. Step 2: Open iTunes, and connect your iOS device with Windows or OS X system. Step 3: Connect your iOS device with iTunes, and restore your device with official iOS 7 downloaded .ipsw file from your desktop / download folder. Step 4: On OS X – you have to press alt/option key and click “Restore iPhone”. While on Windows – press CTRL key and click “Restore iPhone”. 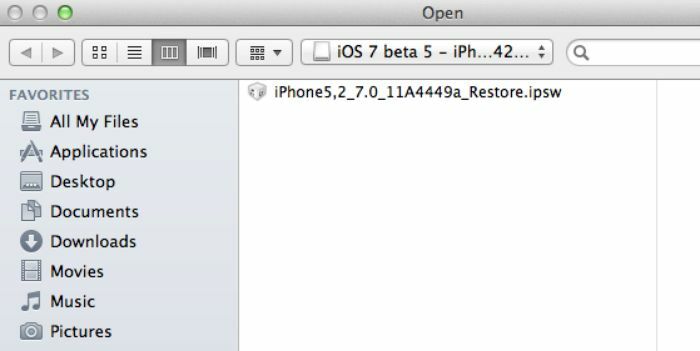 A new pop-up window will open on your desktop, and now you have to navigate to your iOS 7 downloaded ipsw file, and select it to restore your iPhone / iPad with iOS 7 file. After selecting iOS 7 downloaded file, iTunes will again ask you to confirm that it will delete all the data from your device and fresh install iOS 7 file on your iOS device. Step 5: That’s it. You are done! 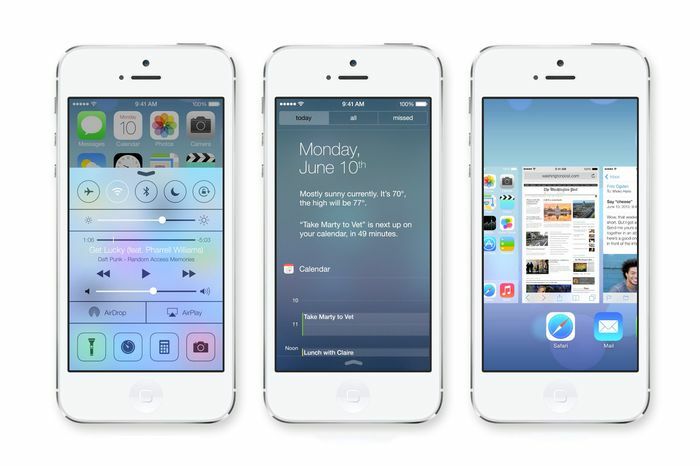 The iOS 7 installation will take place, and iOS 7 will be installed on your device. iTunes will perform all the tasks itself, and after the installation purpose it will ask you to restore back your data on your device.